How Do You Manage Climate Risk? 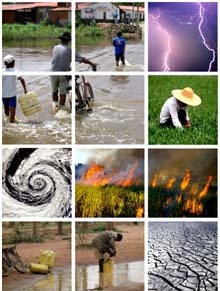 For one week in July, representatives from governments, civil society, multilateral organizations and industries will come together in Espoo, Finland, to discuss practical ways to use climate information in their operations -from water management to tracking and preparing for disease outbreaks. Learn and share invaluable expertise on how to manage the growing challenge on climate change -and enjoy the sights of Finland's modern waterfront city located 15 km west of Helsinki.